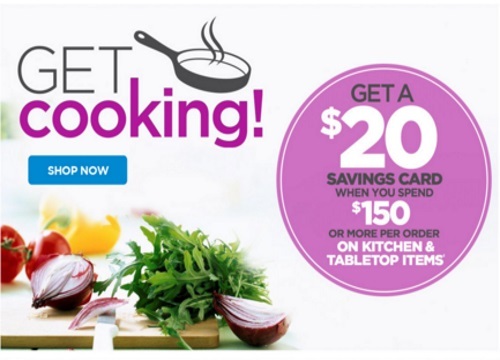 The Shopping Channel is offering a Free $20 Savings Card when you spend $150 or more on Kitchen & Tabletop Items! This offer is valid April 8-17, 2016. No promo code is needed to get this offer. The Savings Card will be emailed to the address associated with your account starting April 25, 2016. Savings Cards expire June 30, 2016.